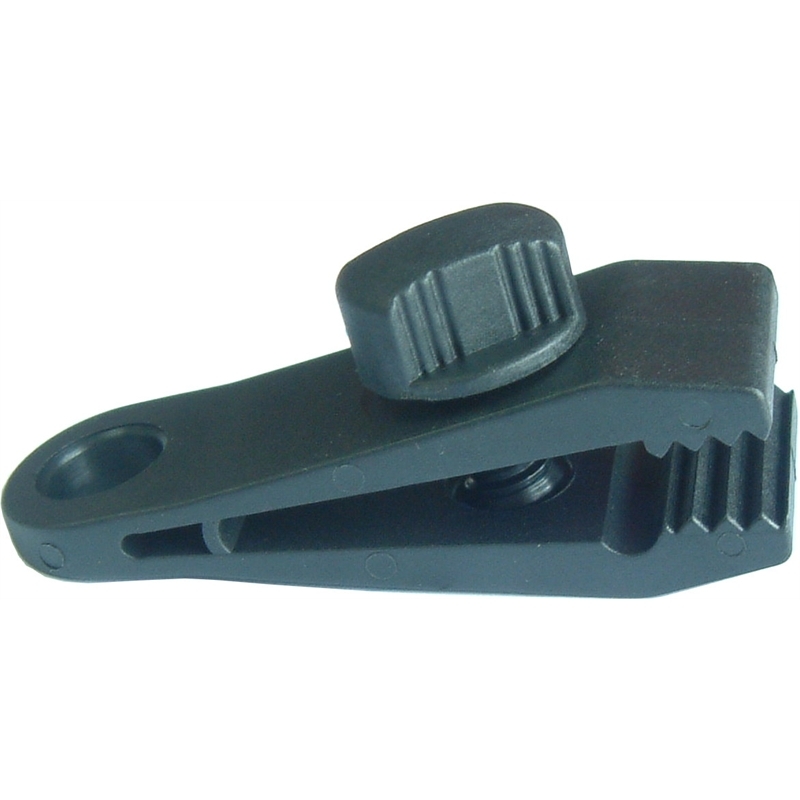 Multi purpose clamp on fabric clip. Add an extra tie-down point to your tarp with this sturdy clip. Just pinch the fabric between the clip's teeth and tighten the finger screw for a firm hold. The hole in the base provides an eyelet for tie-down. 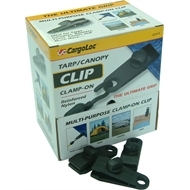 Ideal for tarps, canopies, covers, tents and many more.